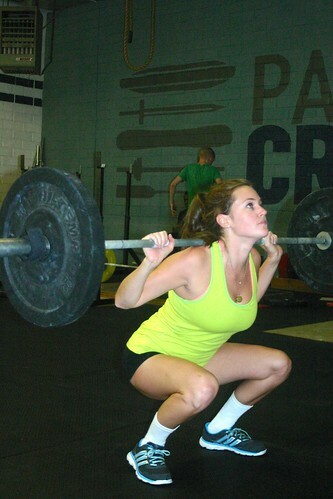 Home » WOD Blog » You are stronger! Notes: Weight should be moderate and allow for three technically sound and explosive power clean and push press. Form should not deteriorate over the course of the ten minutes. We are coming to the close of what has been a long cycle of weightlifting and squatting. Those of you that have been following it closely and even those members who just come in for a good workout should be starting to see and feel the difference in how weights are moving both in strength movements and conditioning pieces. We are starting to see some of our most advanced and longest tenured athletes hitting personal records on multiple lifts. Without fail, this means the rest of the gym, many of whom have hit bests recently, will see another round of PRs on the most important benchmarks. As we start testing more single lifts, I hope that everyone has the experience of walking up to a loaded barbell with a weight you never dreamed possible and knowing intrinsically that you are strong enough to make the lift – and then crush it. As “bro” as that last sentence was, that feeling is unique to real strength training and is hard to replicate outside of the gym. It is a black and white indication that you are stronger, more capable, and changed.